Saint-Jean-Baptiste Day, also known “la Saint-Jean”, “St. John the Baptist Day”, “Fête nationale du Québec” and “Quebec’s National Holiday”, is a holiday in Quebec, Canada, celebrated on June 24. This public holiday was brought to Canada by French settlers celebrating the feast day of St. John the Baptist. St. John the Baptist was a Jewish preacher who baptized Jesus in the River Jordan. How do Québécois celebrate St. Jean Baptiste Day? 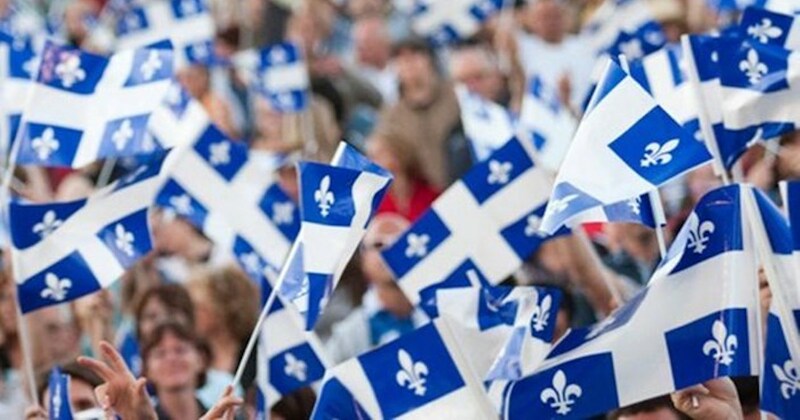 Saint-Jean-Baptiste Day is a public holiday in Quebec, which means that most schools and businesses are closed. Various events happen on Saint Jean Baptiste Day. These events can be anything from large public celebrations, like concerts, sporting games, fireworks, or parades, to small community parties, such as picnics, barbecues, and other family-fun entertainment. On June 24, many churches will ring their bells in celebration. Fun fairs and public dances are usually held. Some events are even held the night before on June 23. Fun Fact: There are over 100 breweries in the province of Quebec! For a complete list of every brasserie in Quebec (the list, of course, is in French… but 3 cheers for Google Translate) click here. Their Charles Henri Belgian White, named for their grandfather who they have many fond memories with and taught them what they know about beer and brewing, won a bronze medal in the Rest of Canada category at the Canadian International Beer Awards in Calgary in 2016. Before that they also won awards at the Mondial de la Bière 2015 as well as the Greg Noonan Beer Competition, not bad for a small brewery that only got its start in August 2014. This small family brewery is a short ride outside of Montreal, but unfortunately it is not open to the public, however if you follow them on Facebook or Twitter they pop up at festivals all over Quebec and Canada, so maybe they’ll have a booth somewhere on JB day. Old Montreal is one of the best places to hang out in the summer. 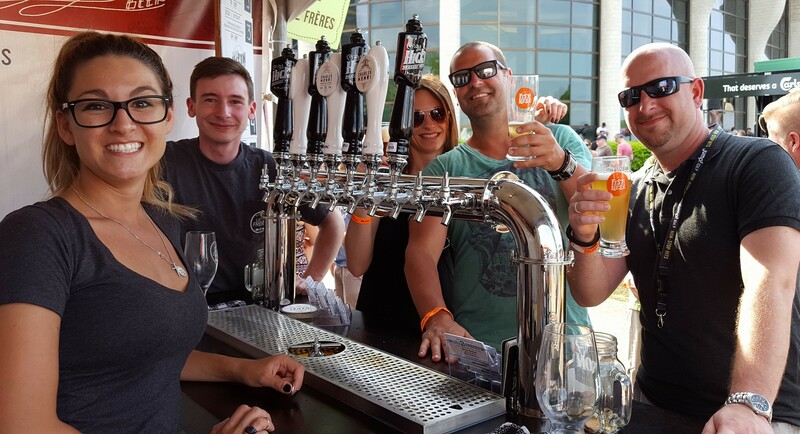 There are so many wonderful festivals and beautiful terraces where you can people watch, drink a beer or two and enjoy the nice summer weather, a very popular Montreal past time. 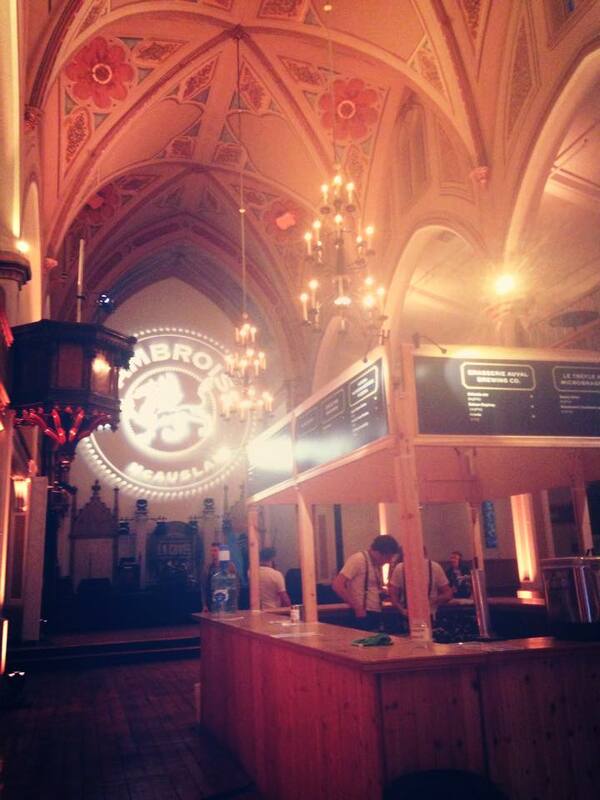 Plus who wouldn’t want to drink beer in an old convent. I can’t think of a better way nor a better place to celebrate John the Baptist. With more than 50 beers to choose from and 15 of those being international award winners this microbrewery is definitely making a name for itself in the Craft Beer World. The brewery and Le Picoleur (it’s on-site pub and tasting room) are located in St. Hyacinthe, Quebec, so it’s a bit of a drive outside Montreal, but they have plenty of mocktails for your designated driver. Alternately they are also a member of TZ Estrie (Saint- Hyacinthe division), so they can get you a safe ride home if you’ve enjoyed a little too much. We love a place that takes care of their patrons. Plus you gotta love a place that serves free popcorn with your beer! Can’t make the drive, Brasseurs du Monde has points of sale all over Quebec, so you can bring it to your St.Jean party as opposed to bringing your party there. Located on Crescent Street, the biggest party block in Downtown Montreal. Brutopia has 3 floors featuring 3 different bars, and 3 terraces, one of which is heated, and operates all year long. Not only does Brutopia have fantastic freshly brewed all-natural beers of their own they also have a huge variety of other locally-brewed Quebec and Canadian beers. A perfect St.Jean night, sitting on the outdoor terrace, listening to some live music and drinking some nice Quebec beers. 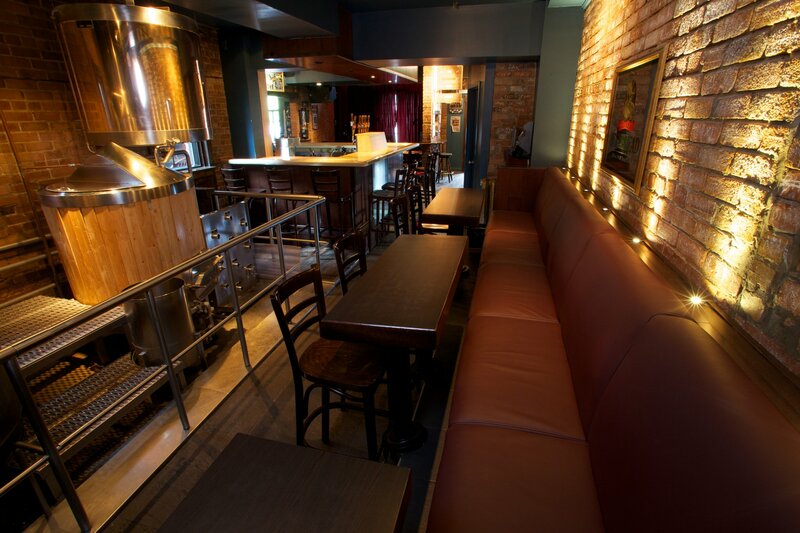 They are also one of the few places in Montreal who offer a huge vegetarian selection as well as gluten-free beers. Don’t worry meat-eaters their burgers are out of this world as well and pair perfectly with their long list of beers. Unibroue has won 17 World Beer Awards and while they don’t have a tap room or a brewery tour (unless you can get 40-50 of your closest friends to come on your trip to Montreal) they do have a wonderful Brewpub in Chambly, five minutes from the brewery called “Fourquet Fourchette.” This unique restaurant combines the flavours of modern cuisine with the style of old times. 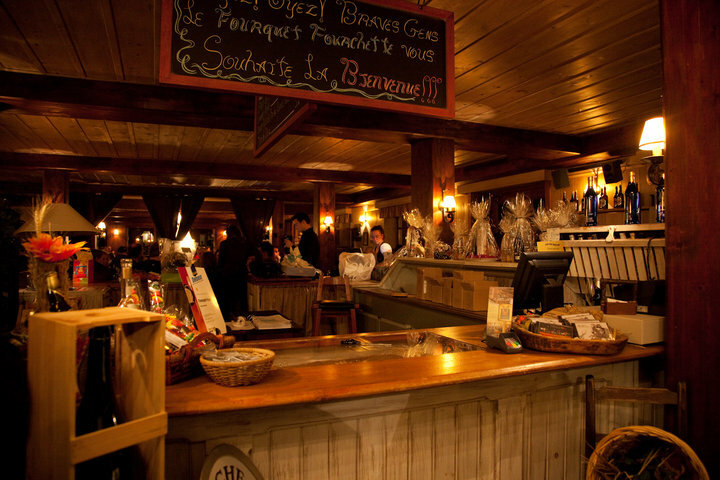 The staff is in period costume, the tavern has a rustic hunting lodge feel and the beautiful view of the Richelieu River make this place the perfect way to spend a summer afternoon. If that weren’t enough, the entire menu is based on the Unibroue beers and wort which make for delicious, distinct dishes that will delight your palate. Joyeuse Fête nationale du Québec! Gearing up for a great year of Alberta beer with Calgary Tap Room Tour 2017. This article sets the stage for the year to come.